or go to your local bookstore and ask them to bring it in! 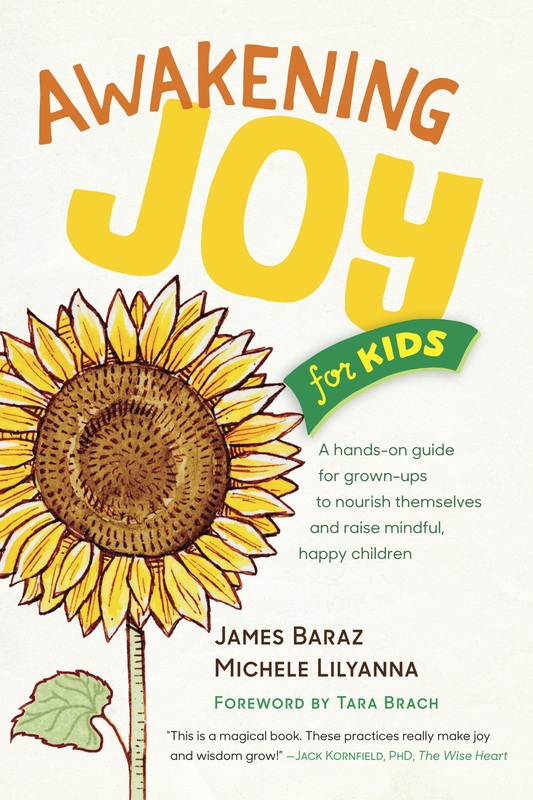 Spirit Rock founder, author, and teacher James Baraz’s Awakening Joy offers his large and devoted readership a program to gain contentment and happiness by cultivating the seeds of joy within. Here he joins with Michele Lilyanna, a classroom teacher for 25 years, to offer caregivers and children ways to find joy in each day together. This unique offering nourishes both adults and kids. James shares the practices for the adults—parents, caregivers, and teachers. Michele offers her own experiences as a parent and as a teacher, showing how the themes work with kids, followed by the tried and true lessons that she’s used herself in the classroom and at home. Packed with practices and activities that James and Michele have gathered over their many years of working with thousands of adults and children in retreats, workshops, and the classroom, Awakening Joy for Kids is imbued with compassion and delight. 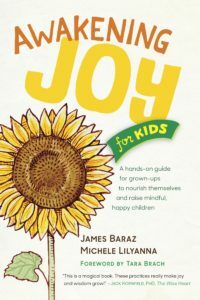 Part of Parallax Press’ growing curriculum for parents and educators designed to cultivate joy and mindfulness in children.